A beautiful bracelet with Rose Quartz stones to provide the power of friendship, hematite stones for healing and a rose gold heart for love. The Rose Quartz friendship bracelet is a stone of universal love and friendship. It opens the heart at all levels, promoting love, self-love, friendship and deep feelings of peace within. The bracelet also has two beautiful faceted Hematite stones that help to heal along with a rose gold plated sterling silver heart. 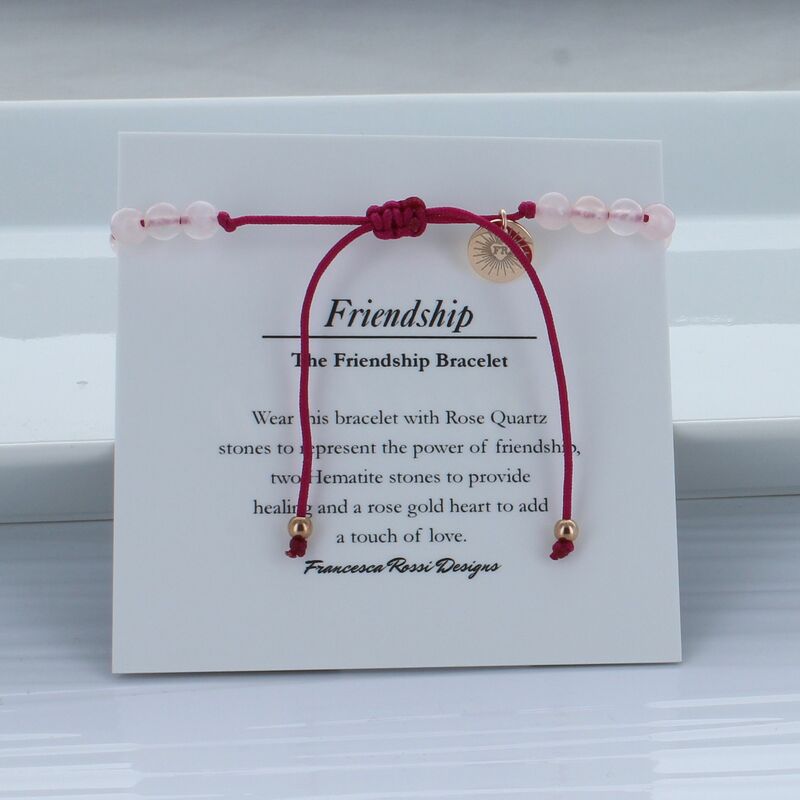 Each bracelet is presented with a "Friendship" card with an explanation of the qualities of the stone on the reverse side.